Finely chop parsley. Cut garlic into thin slices. Cook pasta in plenty of salted boiling water, according to package instructions, for approx. 8 – 10 min. until al dente. Drain, save some of the pasta water and set aside. Heat up olive oil in a frying pan. Sauté garlic for approx. 1 – 2 min. Pour in pasta water. Add cooked pasta to the pan and toss in garlic oil. Fold in chopped parsley and season with salt and pepper. 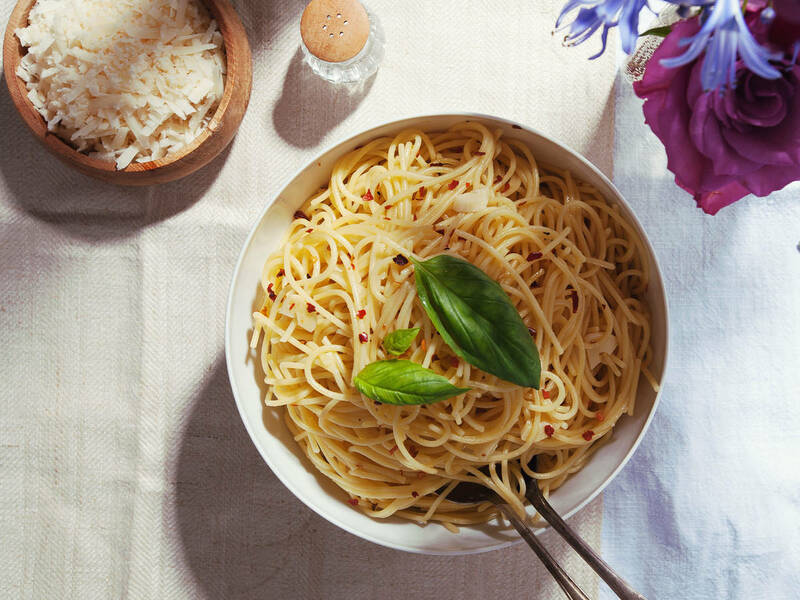 Serve sprinkled with freshly grated Parmesan cheese to taste.